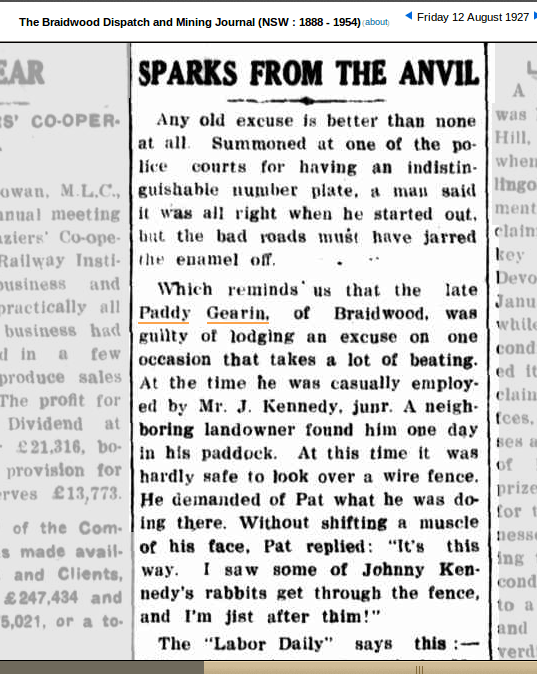 There are two Paddy Guerin/Gearins in the family I am currently researching, an Uncle and his Nephew. 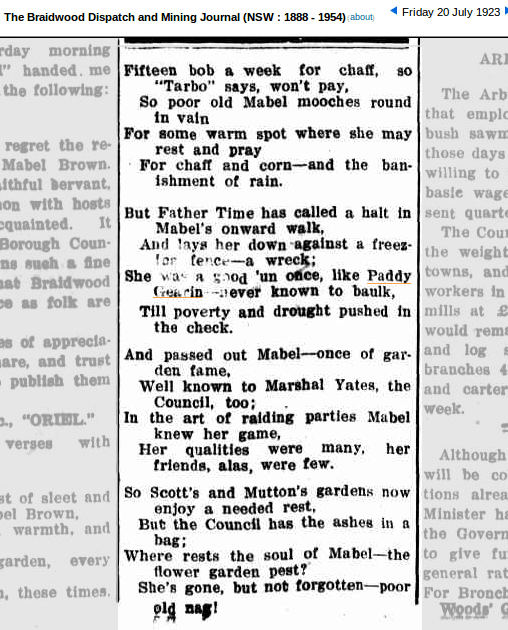 I haven’t yet found out which story refers to which gentleman however I wanted to share these stories on Trove Tuesday. The Guerin family lived near Braidwood in New South Wales, Australia. 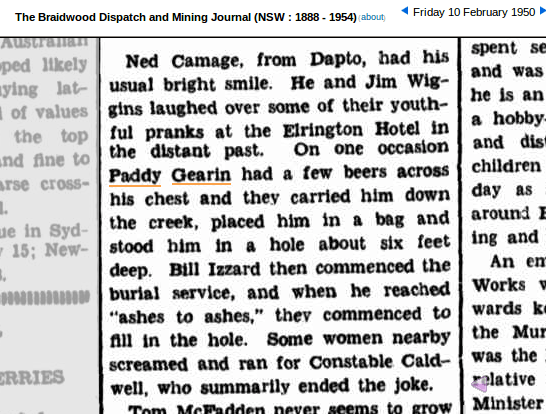 “Had a few beers across his chest” I had never heard this saying before until I came across it here. I realise it means he was drunk however I’ve been unable to find any references to its origin online. Has anyone else ever heard of it?